The Samsung Series 3 NP350V5C sports a 15.6-inch HD LED Anti Glare display with a resolution of 1,366 x 768 pixels allowing you to stare at the screen for long hours without straining your eyeballs. The presence of 2GB graphics card enables you to stay engrossed in games without straining your eyes with the Anti Glare display. It also features 1TB HDD, powerful; optical drive and 1.3MP webcam. The processor ticking under the hood is a powerful 3rd generation Intel Core i7, sprinting at 2.4GHz and housed on HM76 Express chipset. It is assisted by an equally mighty 8GB DDR3 RAM thereby providing the platform to deal with a large number of intensive tasks simultaneously in a smooth manner. For excellent management of rich games and videos, it features a 2GB AMD Radeon HD 7670M graphics card. 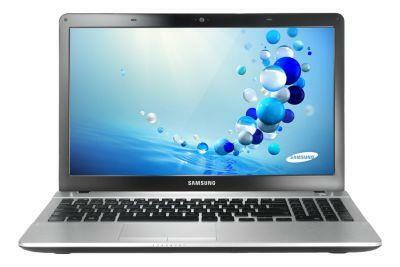 If you are looking for available drivers or software related to your Samsung NP350V5C laptop. The following software and drivers are compatible with your NP350V5C and Microsoft Windows 7 32/64-bit. If you come across any Samsung NP350V5C Drivers download issues, please ask for help in the comments section below.